Tea Habitat, a small shop in Alhambra that specializes in well sourced loose-leaf teas, is an obsession waiting to happen. Imen Shan, the store’s owner, curates a selection of quality Chinese offerings that is unrivaled in Southern California, if not the country. But nothing inspires fascination among L.A.’s tea geeks quite like her collection of oolong, an expressive variety that bridges the gap between green tea (unoxidized) and black tea (oxidized). Though her store sells mostly online, it’s worth booking an in-house tasting ($25) to experience the breadth of each leaf’s aroma and flavor. HIGH MOUNTAIN: A careful process produces tightly rolled leaves that unfurl when steeped. Expect rich and buttery tastes. BAOZHONG: Soft and floral with a subtle sweetness, the delicate leaves are so lightly oxidized, they resemble green tea. A nice pick for beginners. DAN CONG: Processed from small plots (or even a single tree), the prized variety offers the ultimate expression of terroir. Notes of flower blossoms join ripe fruit. BAI HAO: Its honeyed flavor comes from tiny insects that bite the plant, which prompts the release of certain aromatic compounds. YANCHA: Grown on rocky cliffs, this tea is heavily roasted, resulting in wood and spice notes. 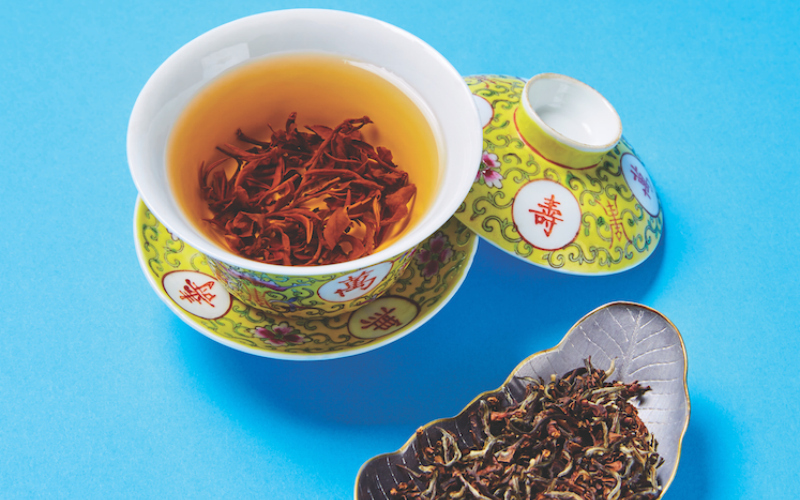 Without the right water, oolong’s delicate flavors can get lost. High-quality filtered water is ideal, bottled spring is fine, but avoid the chlorinated stuff straight from the tap. Oolong is best steeped in water between 185 and 205 degrees Fahrenheit. Higher temperatures bring out more intensity but can cause scorching, while lower temps bring out more nuanced flavors. The most coveted teas fetch up to $90 an ounce, but their high quality means they also can be re-steeped (ten or many more times). Get your money’s worth by making each pot count.